It would be lovely to see you at one of the venues below. 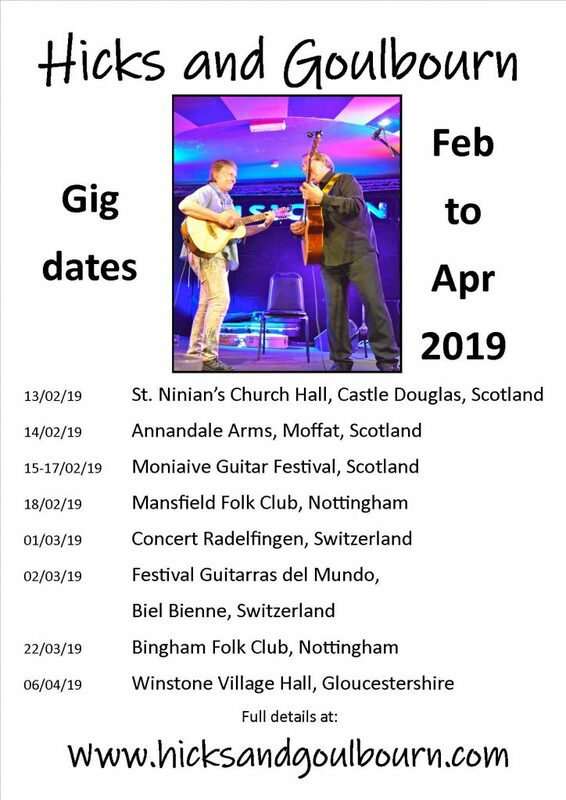 Please check our gigs page for full details of any of the events listed. We love to travel, play and meet people so if you are an organiser, or know somebody who would like to book Hicks and Goulbourn, please get in touch via our contacts page.